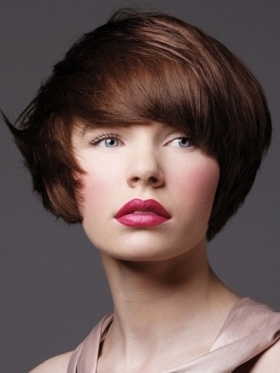 Lovely Bob Hair Style Ideas. Sport a gorgeous girl next door style with these lovely Bob hair style ideas. Ease the styling process by keeping special attention to the spotless condition of your locks and make sure you pick the design that best suits your face shape. These two factors will guide you through the selection of a too cool to miss midi or short crop as the ones illustrated below. 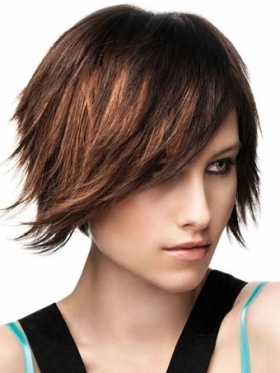 Hair fans are craving for the newest designs to upgrade their look to the latest style tendencies. Therefore, pro hair gurus are keen to furnish them with the most exquisite parade of haircuts that would definitely sweep them off their feet. If you're one of the beauty bunnies who's eager to experiment with the dazzling hair style ideas, make sure you skim through this brief gallery of lovely Bob hair styles as the best source of inspiration for your future makeover projects. Adopt the right attitude to make the most out of your girly and uber-flattering features. 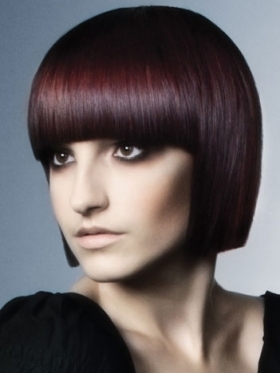 Add some drama to the locks with layers or you can also pay your tribute to the old time classy ideal of super-finished and sophisticated Bob designs. 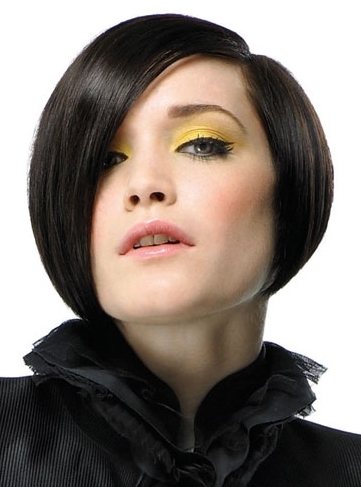 This stylish repertoire of fab Bob hair styles features designs from the choppy and heavy layered to the uber-glossy and softened looks. All you have to do is drop a glimpse at them and spot the one that stands the closest to your heart and could be the do you were always dreaming of. 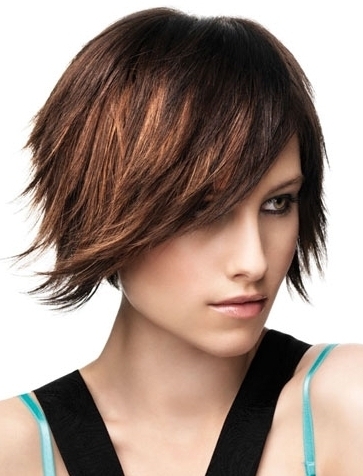 Classy cuts as the Bob are some of the top on trend looks of the season. Therefore, skip the faux pas of missing them and quit closing yourself in your dull shell. 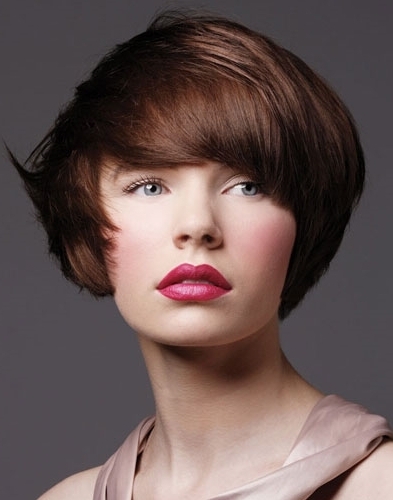 Break out of the box with one of these polished Bob hair styles that radiate a feminine and high class allure. This time ignorance is a burden rather than a bliss, as a consequence it is wise to find out more on your hair dressing options and define both the design as well as the hair length beforehand. 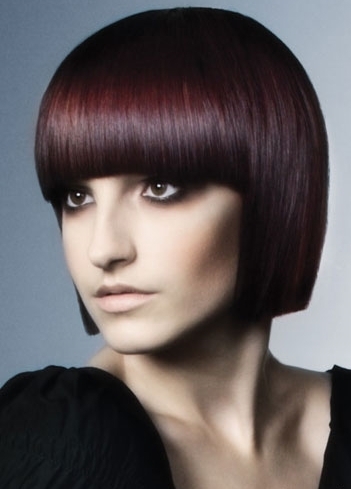 A shapeless style could ruin our appearance, therefore inject some life and a playful vibe into your worn-out locks. 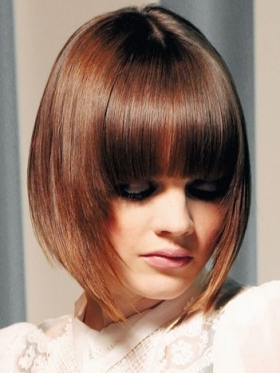 Choose these A-list Bob haircuts to succeed in your quest for a razzle dazzle do that helps you rise above the crowd and set the perfect blueprint for a statement do. Use volumising mousse, texturising paste or other top league hair styling formulas to achieve the desired effect with your cool crop. Go for the messy designs when in need of a wild clubbing do, whereas the muted and sleek styles are perfect when your main aim is to play up your flirty and romantic aura. Chop your locks with the help of a pro hair stylist who'll guarantee the best conditions and the smashing result of your makeover.